38 - $119.99 Only 1 left! 40 - $119.99 Only 8 left! 42 - $119.99 44 - $119.99 Only 9 left! 46 - $119.99 Only 2 left! 48 - $119.99 Only 2 left! Each of the Tetris pieces has their own personality, don’t they? The square piece is like that reliable friend who rarely causes problems, but is otherwise rather boring. The “T” piece is the pal who’s always pretty chill and is good and filling many different roles. The long skinny piece is like the dashing hero, who often saves the day in the nick of time. The “L” piece is that guy who’s almost a hero, but just falls a little bit short every time. And the “Z” piece? The “Z” piece is that guy down the street who shows up just to ruin your fun. What kind of Tetris piece do you consider yourself? 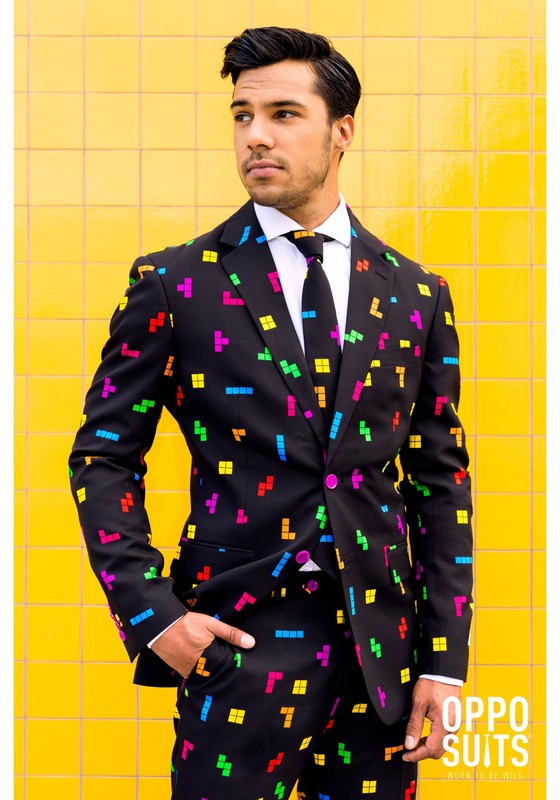 Well, no matter what piece you fancy yourself, this Tetris suit will have you looking ahead of the game! You see, this classy number is designed by the fine and fashionable people at OppoSuits, who specialize in creating wild attire for those who are ready to step up their game. 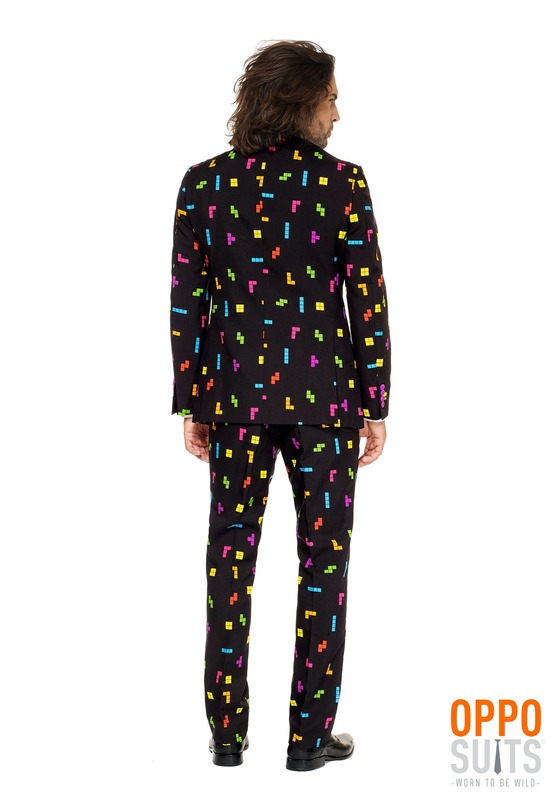 The suit has a Tetris themed pattern which displays each piece on the exterior, from the humble “L” piece to the game-changing long, skinny piece. 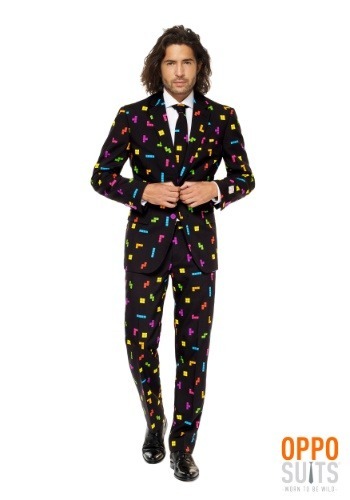 It comes with a matching tie and can be worn with just about any dress shirt. It’s great for a night out on the town, or for a party with you friends. Of course, the best thing you can do is wear it to the arcade to let everyone know that you’re a big dog when it comes to old-school video games.